Pressure plays a big roll in scuba diving and one of the serious effects of pressure is Ear Barotrauma. Pressure is everywhere around a scuba diver. There is pressure in the air, the water, your air tank, body cavities, your BCD, all are impacted by pressure so it is really a good idea to have some knowledge of what pressure can do. Ear barotrauma or Middle Ear Barotrauma are both caused by the pressure of the surrounding water against your tympanic eardrum. 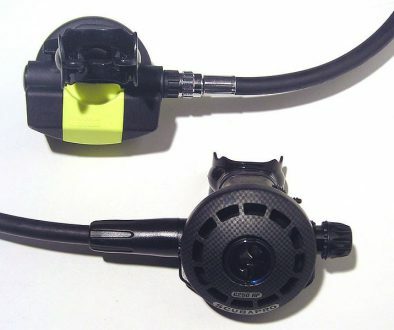 The effect is quite painful and can cause permanent deafness if a diver is not careful. Most people have all heard of “The Bends” but you do not hear much about Barotrauma or Ear Barotrauma very often. So this is just a little education about one of the effects of pressure on a diver, specifically the ears. At the surface of the water or sea level, the pressure outside of the ear and inside of the ear are equal at 1 ATA (atmosphere) or 29.4 psi (pounds per square inch). This is because the inner ear is open to the atmosphere via the Eustachian tubes and your airways. 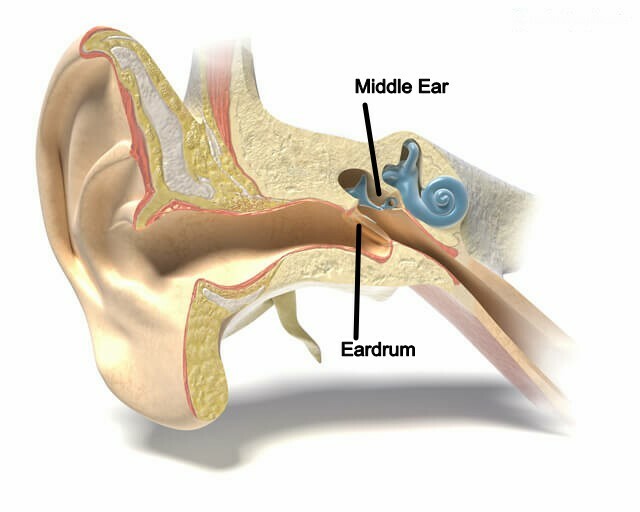 Once you begin to descend the pressure outside will increase and it will become necessary to equalize the pressure between the water outside of the eardrum and the middle ear. It should be noted that the biggest pressure changes occur close to the surface of the water in the first few feet so equalize often. To equalize the pressure that builds up, pinch your nose closed and blow air gently into your nose. You will feel a slight “pop” in your ears when the pressure equalizes. This is called the Valsalva Method. A diver that is floating on their stomach on the surface just has to bend down at the waist and their head will be at about 3 feet. At this depth, the pressure on the outside of the eardrum will have increased to 10% of that at the surface, just from bending at the waist. Half of your body is still on the surface. At this depth, the eardrum will begin to bulge inwards causing you to feel a slight pressure in your ear as the volume of the middle ear is reduced. At six feet, the pressure on the eardrum will have increased to 20%. If the diver has not equalized at this point you will begin to experience pain. At this depth, the eardrum will bulge inward stretching the tympanic membrane and the nerves in it which will send out a signal to the brain, which is why you will experience pain in your ears. Blood vessels and tissues in the middle ear will begin to tear which can leave serious bruising that can last up to 3 weeks. Also, the Eustachian tubes will be squeezed shut making it almost impossible to equalize the pressure. 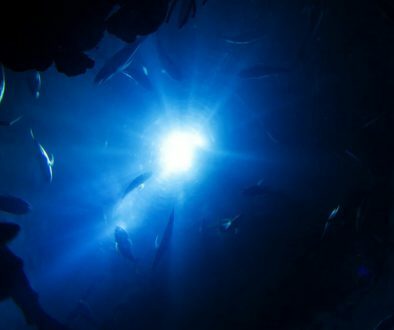 At ten feet, if the diver has not equalized or the eardrums have not ruptured yet, fluid from the torn tissues and broken blood vessels will be drawn into the middle ear. This is known as Middle Ear Barotrauma. The diver will experience a slight decrease in pressure and pain but the damage done will take a while to heal. Also, the fluid that builds up will take about a week for the body to absorb. Beyond ten feet and the eardrums will completely rupture. The pain will be excruciating and the middle ear will fill with cold water. The cold water, when it reaches the balance mechanisms in the vestibular canals, will cause the diver to experience massive vertigo and will lose all orientation in the water. So as you can see the pressure effects close to the surface are at their greatest and only takes ten feet to destroy your ears so be sure to always equalize often as you descend. Ear Barotrauma can really cause serious harm to you and you should always be aware of it. Listen to your ears as you dive. If they feel a slight pressure increase then go ahead and equalize by holding your nose and blowing gently into your nose. On ascent, the pressure will decrease and your eardrums will flex in the opposite direction as the pressure inside the ear will be greater than the pressure outside in the water. Just swallow and move your jaw around and the pressure inside the ear will be released and the feeling will go away. Do this all the way to the surface and you will be fine. If you are interested in learning about the other effects pressure have on divers then just click this link to my Pressure and Scuba Diving article. If you have any comments or would like to share an experience with ear barotrauma, I would love to hear from you. Just leave a comment below and I will be happy to respond to you. your description of diving deep and the risk of ear trauma is a warning for all. Ear trauma is often irreversible and very painfull. Is there a limit to the Valsalva Method when it comes to depht? Hi there. Great question! Yes, there is a limit to the depth that u can effectively use the Valsalva Method if u are freediving. After about 60 feet it becomes near impossible to use and other methods need to be used to equalize. And yes, Ear Barotrauma is very painful indeed. Thanks for stopping by and I hope you come back and look around the site. The human body is an amazing thing – I guess when we get out of our natural environment we do throw everything out and precautions have to be taken. 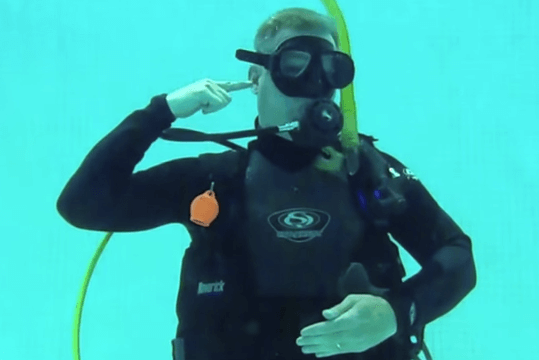 I’m not a scuba diver myself but found this very interesting as I wear hearing aids – loss of hearing caused by something completely different. Hi Lawrence. Sorry about your hearing and yes the human body is amazing! Divers have to be very careful with their ears as it only takes a few feet of water to cause serious damage to the eardrum. Thanks much for stopping by and I hope you take a look around at the site. It has many interesting articles. I believe I suffered Barotrauma maybe 30 years ago diving the GBR… I have pretty much given up diving now as the pain in my ears is excruciating below about 10 feet, and also try to avoid flying when I can. Very cold weather makes it worse, my eardrums perforate at the slightest thing and there’s absolutely nothing I can do about it. I just wish that the internet had existed and people like yourself had been publishing information like this back then – would have saved me a lifetime of agony! 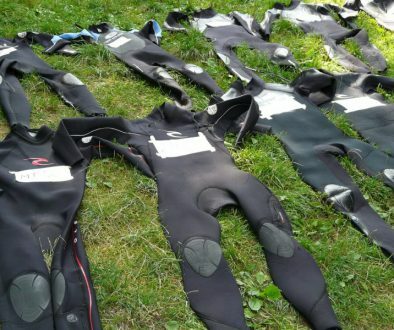 Really great article, I hope every resort diver or dive student is made aware of Barotrauma. 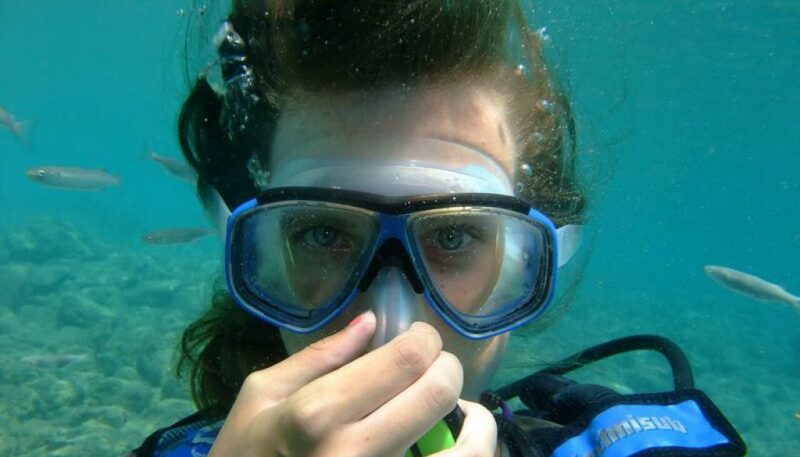 Diving is the most wonderful activity, but so fraught with danger if the student isn’t properly educated. Keep up the great work! Hi Kay. Yes, it only takes once to damage your ears. I am really sorry to hear about your experience. Having the knowledge ahead of time is definitely a better solution. As divers, we have to be so careful not to do any damage and being armed with the knowledge to prepare for anything is a good place to be. Your diving instructor should be the one to teach you about barotrauma as it can so easily happen in just a few feet of water. I must admit that I have been with some instructors that forget to discuss it and that is really bad in my opinion. Thanks for stopping by and I hope you come again. This is a great post! My ears feel funny just thinking about how Barotrauma happens. This was really well written. Hi Jen and thanks very much. Made your ears ring did it? lol. Thanks much for stopping by and come back anytime.